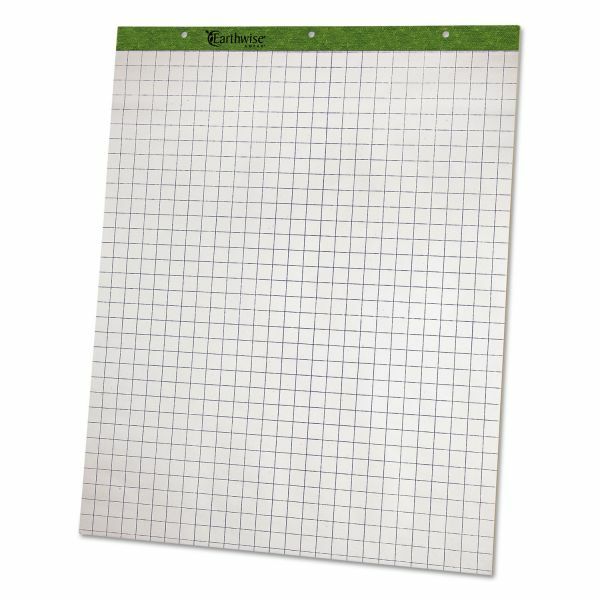 Three-hole punched to fit standard easels. Perforated for a clean tear-out. Standard 25 pt. back cover. Note: A minimum quantity of 8 must be ordered, and in units of 1 thereafter. 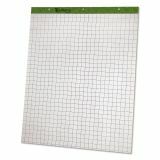 Ampad Flip Charts, 1 Quadrille, 27 x 34, White, 50 Sheets, 2/Carton - Easel Pad contains white, medium weight paper with Leatherlex binding. Punched three holes, 8-3/4" c-c. Micro perforated for clean and easy sheet removal. 1" square-ruled paper contains 50 percent recycled material with a minimum of 30 percent post-consumer content.